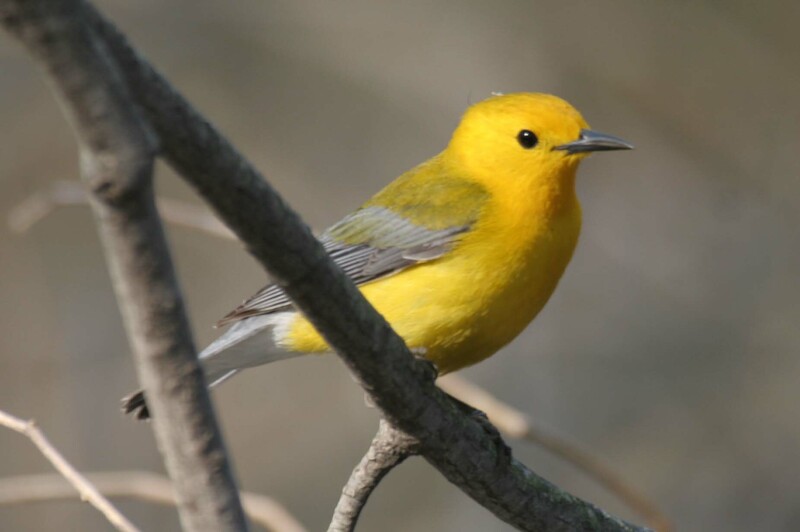 Prothonotary Warbler (Protonotaria citrea). Forests. Migrant. Declining.